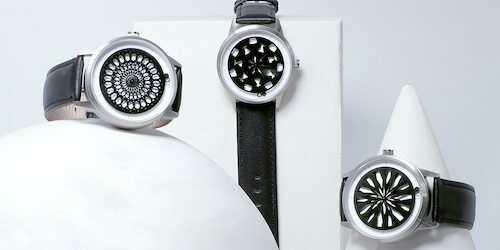 Inspired by Kinetic Art and the possibilities of turning movement of time into art, Watch Design Studio Humism just launched 3 automatic watches on Kickstarter. Designer David Sze: “We wanted to completely reimagine watch design, to create a timepiece that makes the most of this medium’s uniqueness. 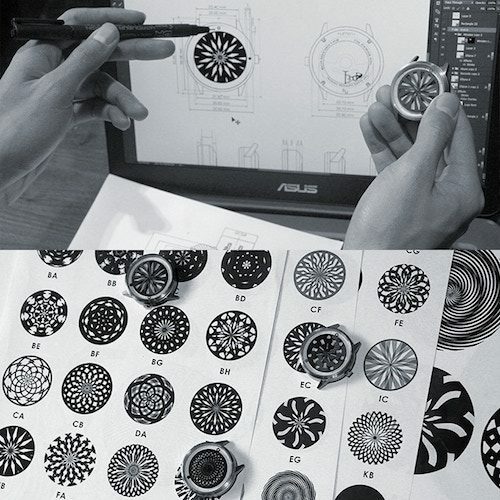 And the most unique and fundamental part of a watch, as we see it, is movement. We are inspired by the potential of using time’s movement to create visual beauty, and perhaps even philosophical meaning. In our design research, we were influenced by the Kinetic Art movement. Kinetic artists broke from traditional static art, and created art that produced beauty through movement. 5% of the sales will be donated to The Red Pencil, a non-profit that uses arts therapy to help those suffering from emotional trauma.